Runway or Red Carpet? Which of the two was more oomph’ed up you think? For me, the pick was easy, I chose the Lanvin dress! Simple and chic, it sparkled with understated elegance. The blush hues of Tahiliani could have worked wonders but that pleated extra under the asymmetrical mid-leg hemline just takes away all the magic! 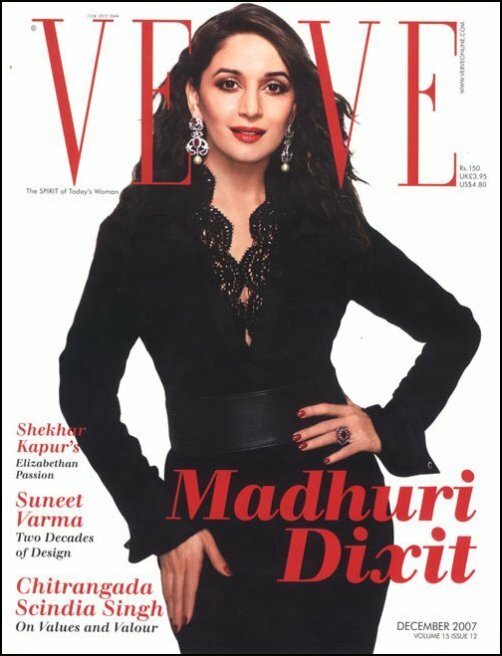 What do you think of Mads on the december issue of Verve? Don’t miss the signature Tarun Tahiliani scalloped lace trim on Mads that we saw on the runway at the Chivas Fashion Tour. Who says you can’t wear white after Labor day? 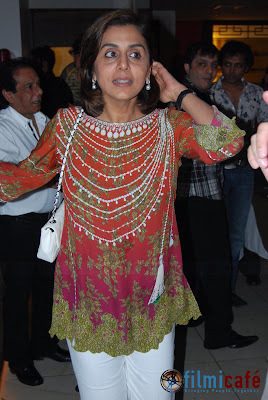 Look at Neetu Kapoor née Singh! She paired a printed tunic from Tarun Tahiliani with white pants and a white Chanel bag! The white balances all that print rather well, reaching that overall effect of ‘me-likey’! Don’t be afraid of wearing ‘print’. The key is to team one busy piece of clothing with everything else that is subdued and subtle so that it not only balances the overall impression but also nicely accents the print! After all, noone really wants to go looking like a tablecloth! A Toga is essentially a loose flowing outer garment, which in the ancient times, was worn by Romans, usually, made of a single piece of cloth that covered the entire body leaving the right arm bare. And, most designers in their collections re-interpreted this flowing silhouette which really is a very flattering drape. We can’t clear the rumors about her pregnancy! What we can tell you though is that for her first trip back on the ramp after many many years, the actress donned a blue Tarun Tahiliani lehenga! 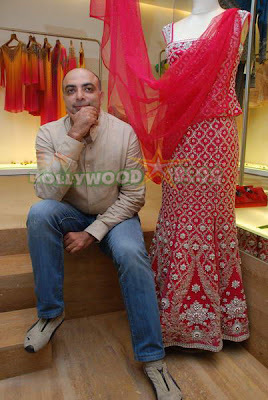 Check out the same lehenga in pink right behind the designer!